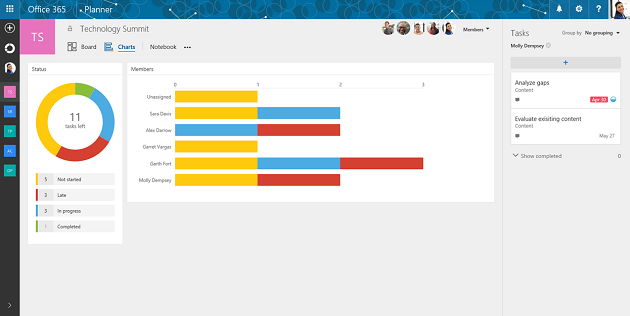 Microsoft is helping teams get more organized with the launch of its new Planner platform. Microsoft Planner is essentially a project management tool that enables teams to create plans, organize, assign and collaborate on tasks, set due dates, update statuses and share files. What’s more, the platform offers visual dashboards and email notifications to help keep everyone on a team informed on the progress of a project. Planner is rolling out to all eligible Office 365 customers over the next several weeks, including Office Enterprise E1-E5, Business Essentials, Premium and Education subscription plans. Those with eligible subscription plans will automatically see the Planner tile appear in the Office 365 app launcher when it is available. What do you think this announcement means for Microsoft's Yammer? Sound off in the comments section below.